The long awaited, supposedly final episode in the Meta Gear Solid series will find its way into gamers hands this coming June 12th. 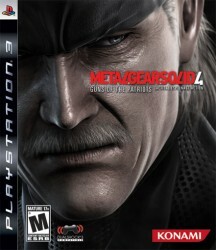 Directed by Hideo Kojima, Shuyo Murata and Yoji Shinkawa, this title has been nased on the theme of ‘no place to hide’, which finds the man himself ‘Solid Snake’ doing what he does best by using stealth and a variety of hiding techniques. 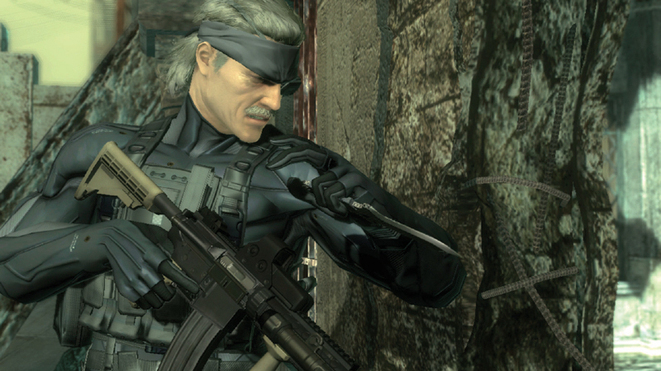 Snake has now been issued with a new special suit ‘Octocamo’, which can alter its texture to match that of its surroundings. This new feature will come in handy as Snake will find himself in many more situations this time where it will be hard to stay out of sight. 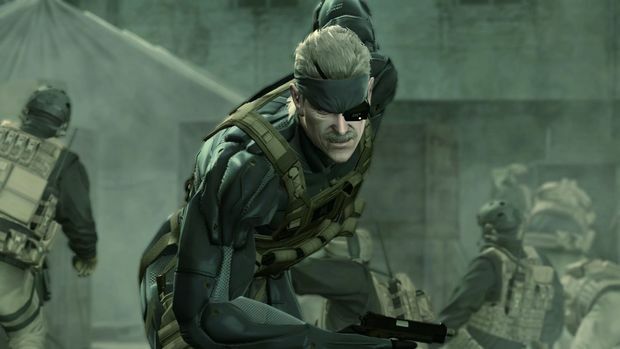 Snake will supposedly be able to interrogate guards this time, instead of just knocking them out, which should bring an extra element of strategy to the game. The regular binoculars that players are used to having are now replaced with a monocular eye piece called ‘Solid Eye’ , and the always funny cardboard box has also been replaced with an oil drum, which can deflect bullets and can be used to knock over guards simply by rolling into them. Snake will not be alone this time on the battle field as this time he will have a robotic side kick / assistant known as ‘Metal Gear Mk II’, which snake can use to communicate with other characters in the game, and can also used to take down enemies by giving them an electric shock. 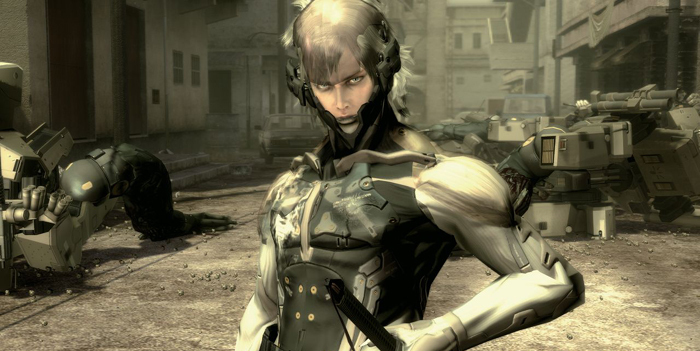 The game is set in the year 2014, which is five years after the set piece of Metal Gear Solid 2. It takes place in a world where private military companies (PMC’s) are needed to fight wars mainly for money and business purposes. 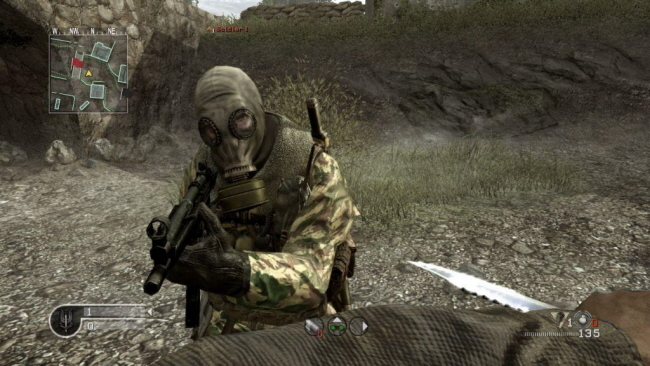 The introduction of nanotechnology plays a large role in this game by having been incorporated into many of the soldiers, which allows them to be in sync with each other as if they were one, while at the same time enhancing the typical abilities of the average soldier by many times whilst always keeping their loyalty in check. This time Solid Snake is showing the effects that war has had over the years as he is looking old and tired, and sadly this may be the last time that he is sent in to ‘save the world’, although we will only find out once we get to play this surely monumental game. 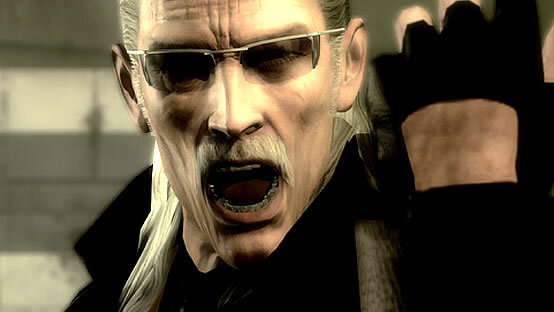 Metal Gear Solid 4 will be out in the UK on June 12th 2008. You can pre-order it here for Â£39.98, a saving of Â£10.01. How excited are the PS3 Pad team?